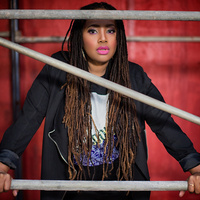 Join the Lalah Hathaway and more for an evening of soulful music and spoken word. Featuring artists with top-level experience in the entertainment industry, this event promises to deliver an experience you will not want to miss. Tickets go on sale for this event at 10 a.m. on Tuesday, March 6. Tickets are available pick up at the Missouri Theatre Box Office and the MU Student Ticket Box Office, Monday–Friday, from 9 a.m. to 5 p.m.
To order tickets online, log on to https://oss.ticketmaster.com/aps/muconcerts/EN/buy/details/8ij0404. Please be prepared to pay a service fee when ordering tickets from the Ticketmaster website: http://www.ticketmaster.com/event/06005450E962A74E.